The web is made up of a matrix of inter-linking sites. Many factors influence your website’s search engine ranking, and links pointing to your site from credible sources is one of them. At a very basic level, search engines view a link from one site to another as the first site “voting” for the second. Votes are good because, just like in an election, they can signal popularity, trust, and credibility. 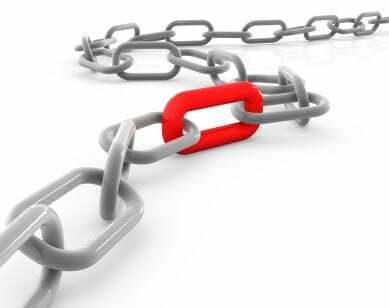 But it’s not just the mere presence of links that matter—the quantity and source of these links are important as well. Are they from spammy sites or reputable domains? Simply put, in Google’s view, trusted sites point to other trusted sites, and this trust factors into search engine rank. Quantity: How many links do you have? Quality: Are these links from sites with relatively high domain authority? Anchor text: Do the links pointing to pages on your site include words you’d like to be known/searched for? Google Analytics and Webmaster tools are good, free ways to find answers to these questions. But since every online search is a competition for clicks, it’s equally important to understand what your competitors are doing. Gaining insights into their link profile not only helps benchmark, it may also help guide your link-building strategy. So there you have it: three free resources to get you started with link analysis. Do you use any of these tools? Which do you prefer? I’d like to hear from you.